So there’s two weekends left to go around the pond and take some new photos (weather conditions allowing) or, if you already have a number of photos already available, selecting some for entry (with up to three allowed per person). The competition is open to all and there is no entry fee. Competition details can be found here and previous winning photos (for the years 2005 – 2012) can be found here. We look forward to your entries and wish you the very best of luck! 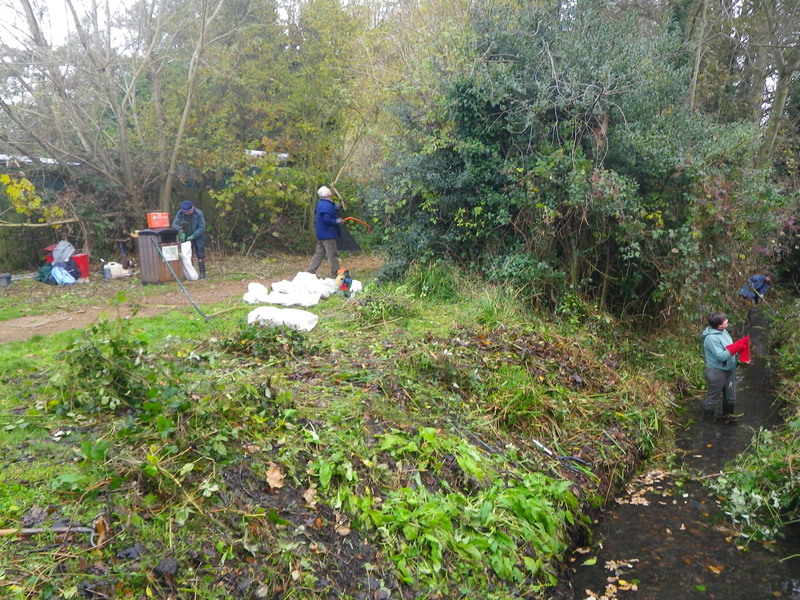 Over the past few months there has been an enormous amount of conservation work carried out by volunteers at the pond. We’re really grateful for all the efforts that so many people have put in! As you can imagine, we’re always looking for new volunteers – why not make it a New Year’s Resolution for 2014? 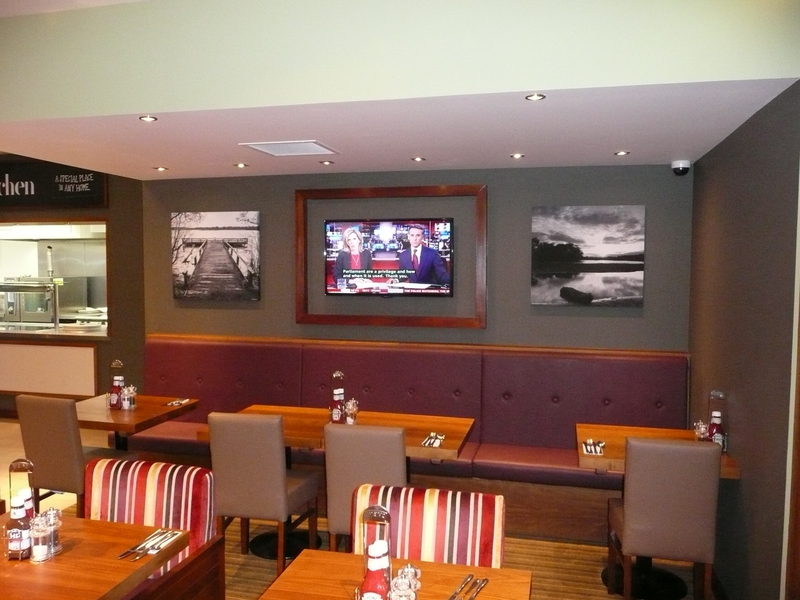 The two main volunteering activities are carried out by the Sunday Volunteers and by the Last of the Summer Wine team. Here’s a collection of pictures taken at recent events (spanning November and December) that give a flavour of the work carried out, together with descriptions. 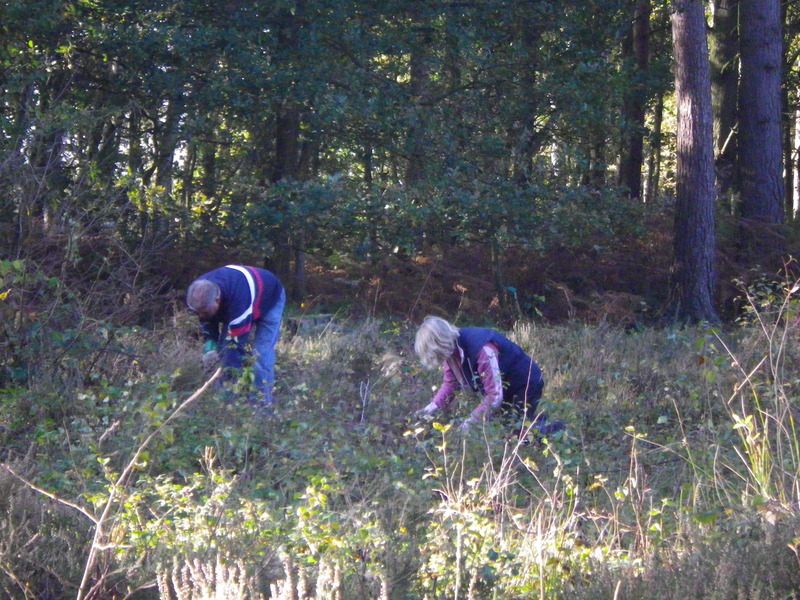 Many thanks to Rachel Jones, the Grazing Ranger for Hart Countryside Services, for providing the photos and text! 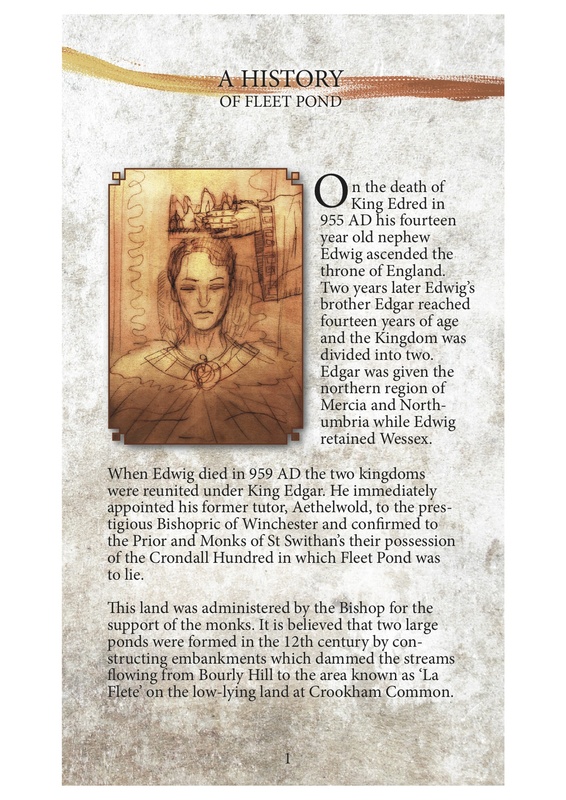 The locations mentioned can be found on the map of Fleet Pond here. A great Xmas FPS day had by all this Sunday. Thank you for all your hard work, especially to the new recruits! 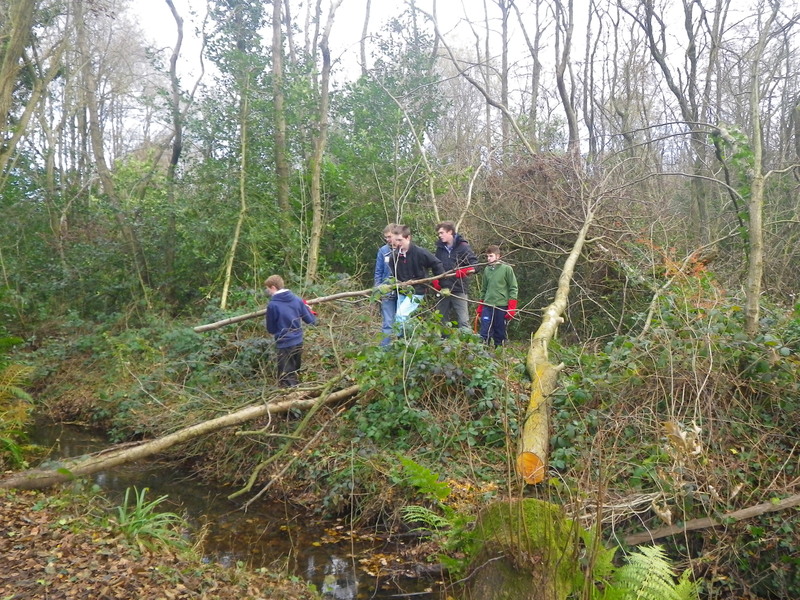 The team cleared all the storm damaged branches off the Brookly stream bed and surrounding area and burnt up a huge pile of scrub cleared recently. Obstructions in the Gelvert Stream were pulled out and a start was made on Terry and Mandy’s dipwell route! Hot spuds and Mars cake were well received – thank you Colin! 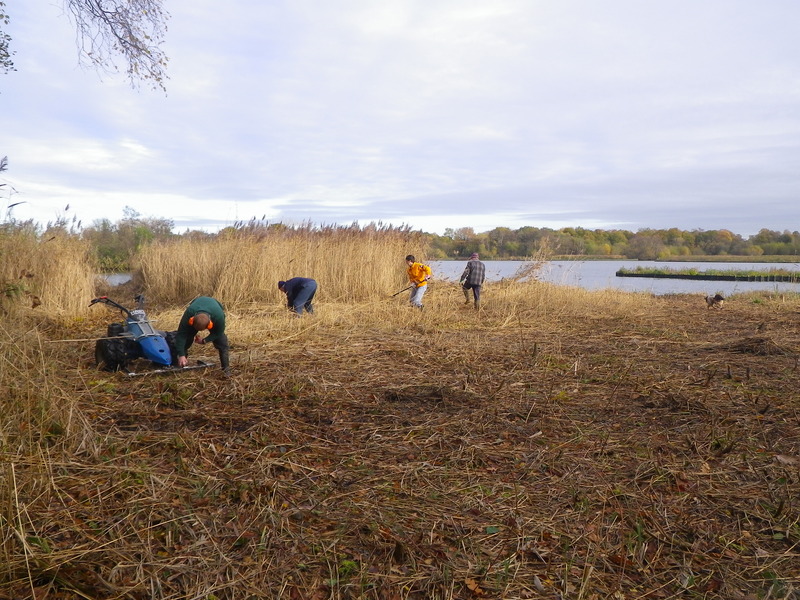 We had six new recruits at the Fleet Pond Society Sunday morning task today! 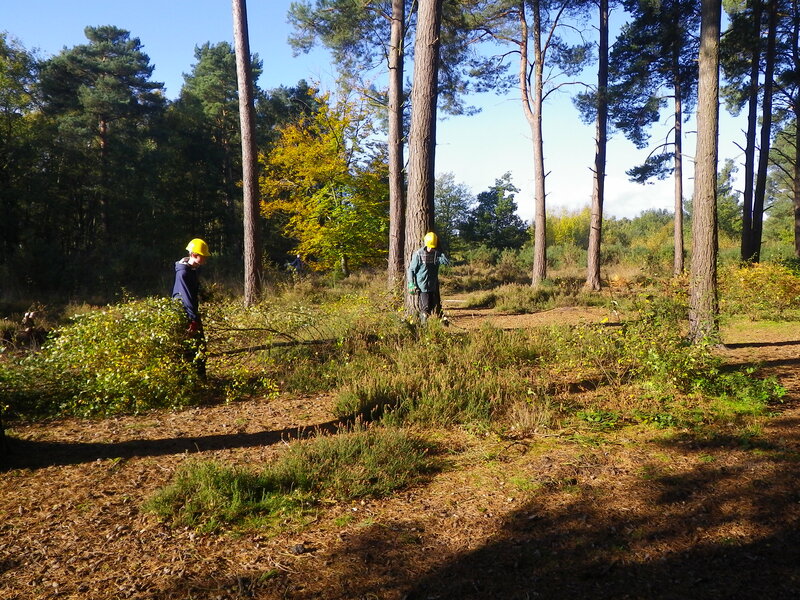 Every one worked hard clearing birch that had encroached on the Dry heathland. Now you can see the heather more clearly and the cut stumps were treated and roots and brash carefully burnt on our fire site. The picnic area was tidied up a bit after the recent storm damage. The Explorers also joined us and enjoyed the hot potatoes and famous Mars cake! The overgrown footpath leading from the car park is also clear enabling easier access for wheel chairs and buggies. Thank you to all who came and we hope you had a very enjoyable day! 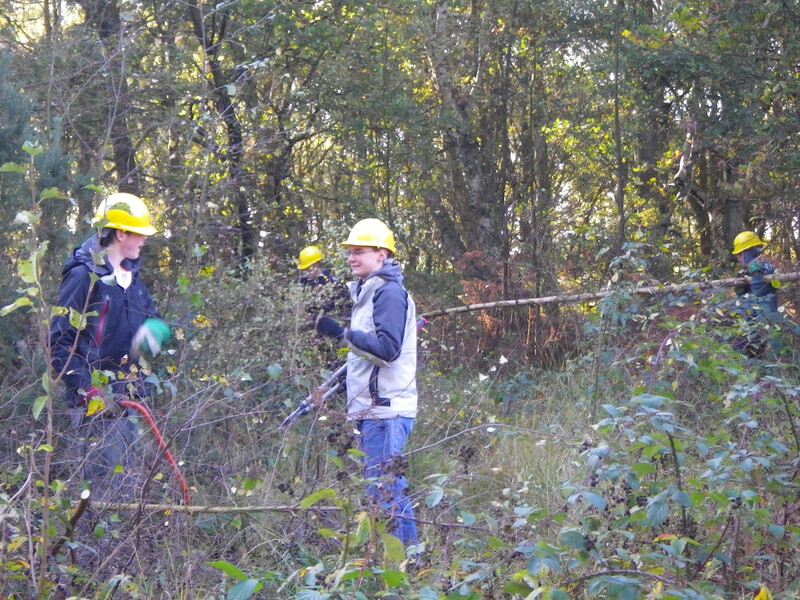 A brilliant morning was had by the LOSW team (Rangers Rachel and Will were also kindly invited ). Grasmere Marsh was polished off by brush cutter Terry and and the cuttings were burnt on the fire site. Mandy , Nick and young Nick did the real work with the scythe and rakes! 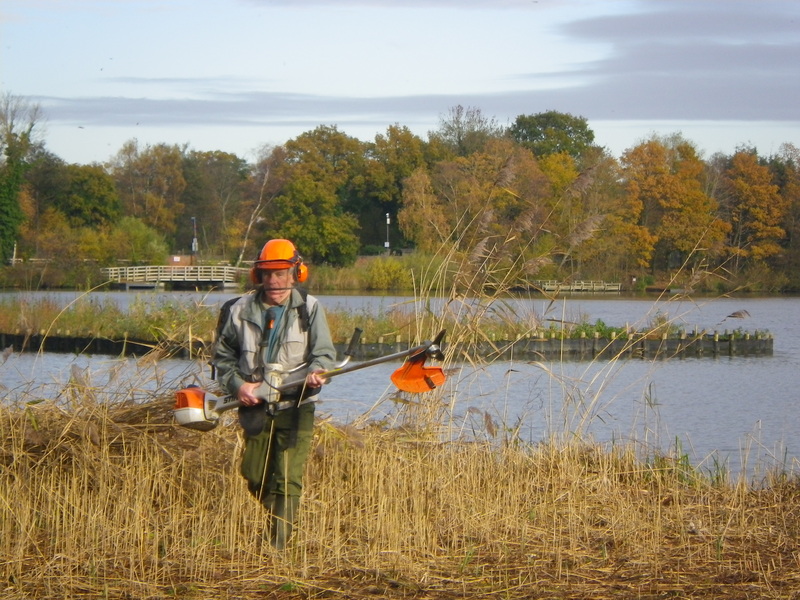 This was an important task as it was part of the management plans reed bed rotational cutting regime to improve the quality of the habitat for particular bird species, invertebrates and other wildlife around Fleet Pond. 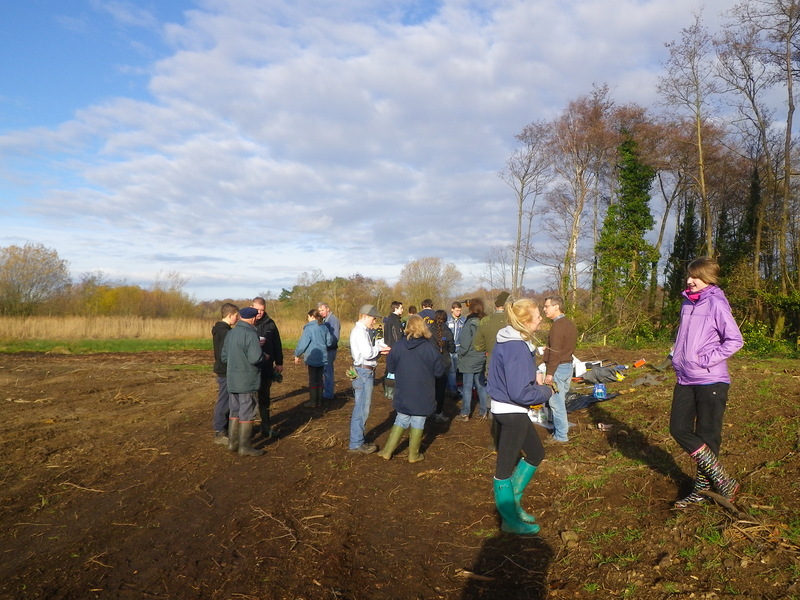 A great turn out for LOSW this Friday when all the team got stuck into cutting back vegetation on the banks of the Brookly stream. They got down in the water to scoop out leaves and debris to ensure good water flow. There is work to be done in the area to ensure the flood banks are not obstructing the main flow of the stream if we get heavy rain, so the rangers will continue this work next week. You may be lucky enough to get a camera this Christmas and fancy trying it out. 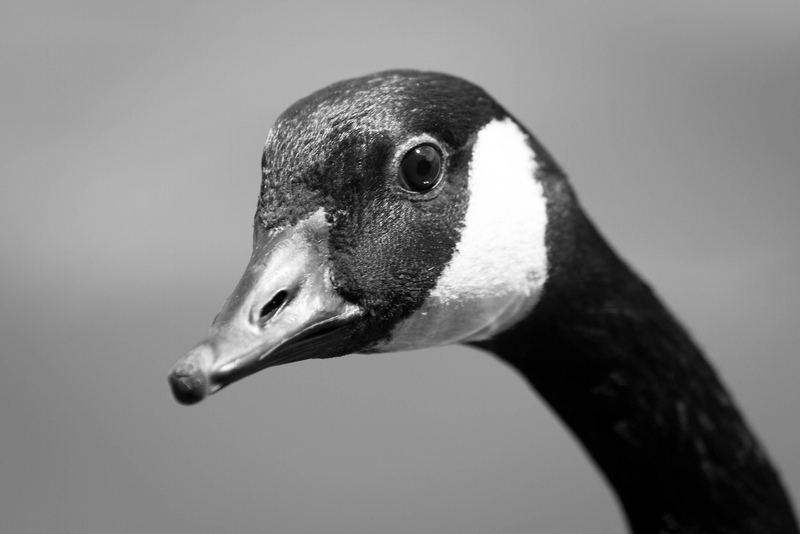 If so, and you manage to get some good photos at the Pond, why not submit them to the FPS Flickr Group? We are always keen on new members. The widget on the rhs of this blog gives the latest submissions to the group. 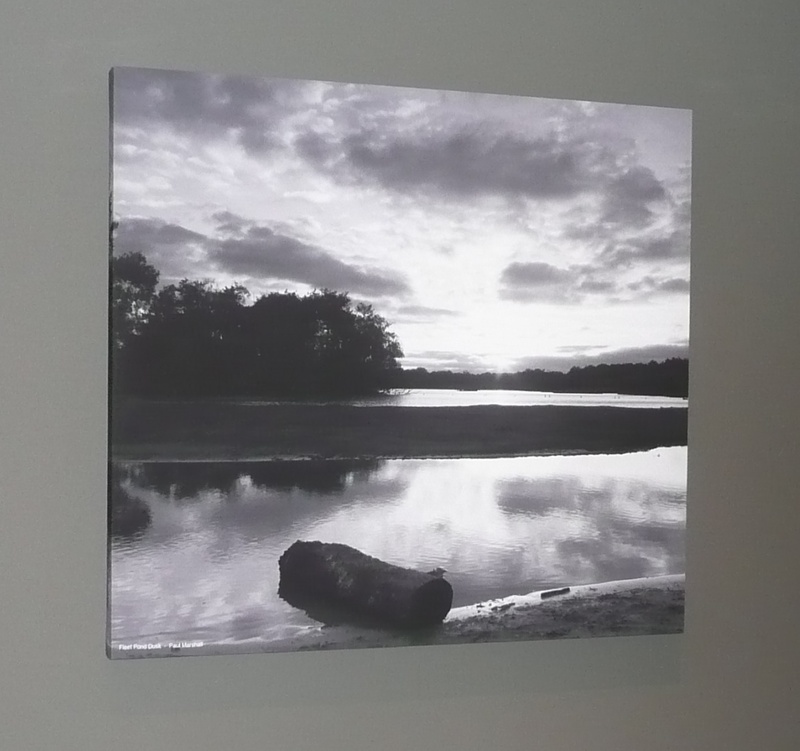 As an example, the impressive picture above, by local photographer Mark Holroyd, is from this set (please note that this photo is All Rights Reserved, you need to contact Mark if you’d like to use it). 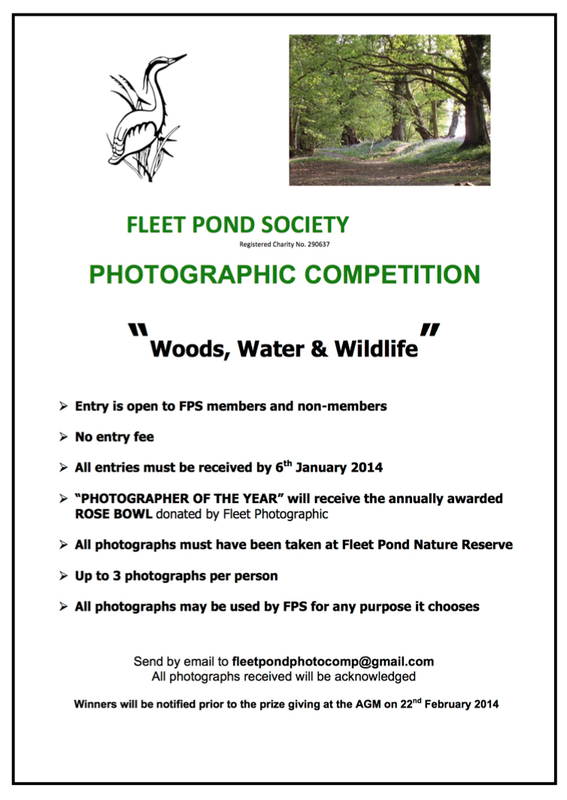 FPS Photographic Competition for 2013 (see below). The deadline is 6th January 2014. We look forward to your entries! 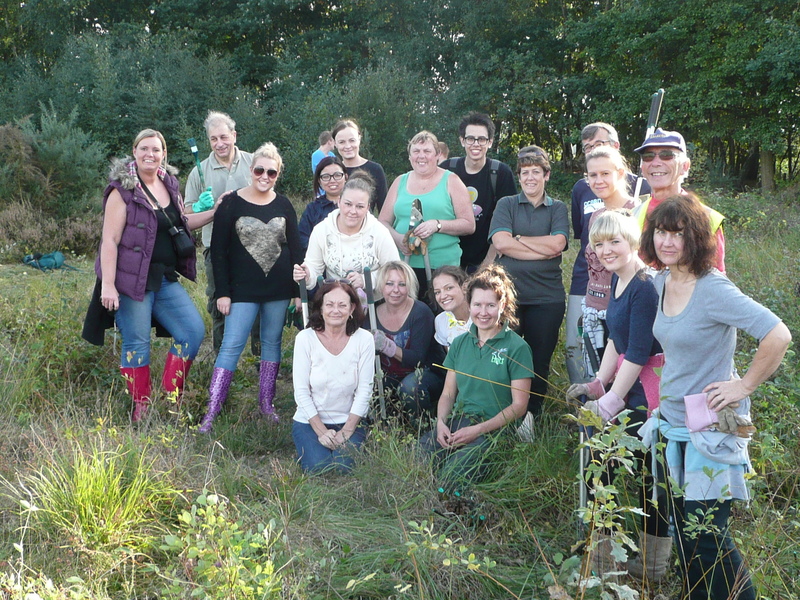 In early October, and just prior to opening, volunteers from the new Premier Inn in Fleet took on a conservation task at the Pond, which was greatly appreciated (see team photo below and more photos here). 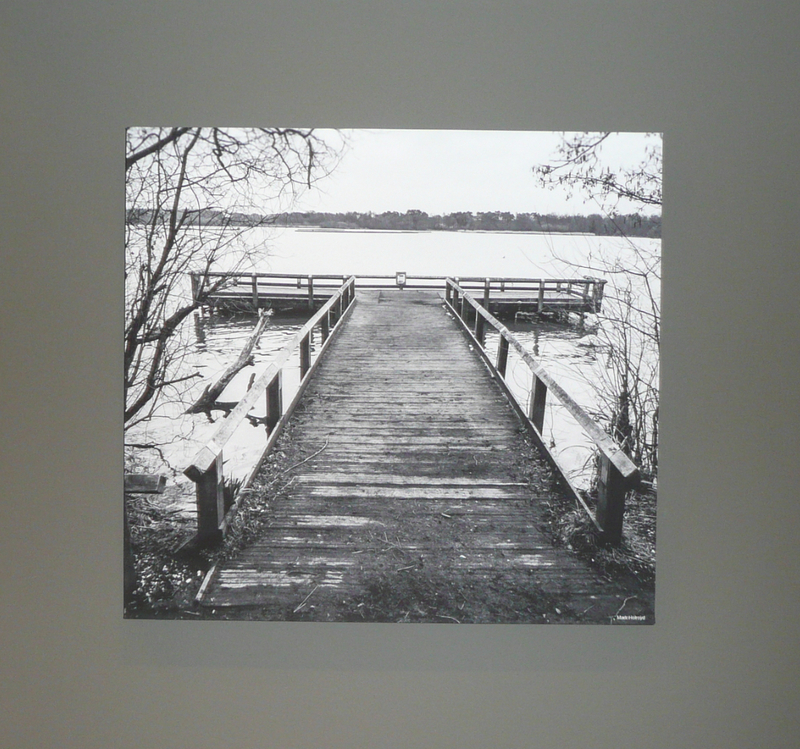 An impressive aspect of the new hotel that might not be well-known is that it features many pictures taken around the Pond, which is a really nice touch. For interest, some of these pictures are presented above and below (click photos to enlarge). 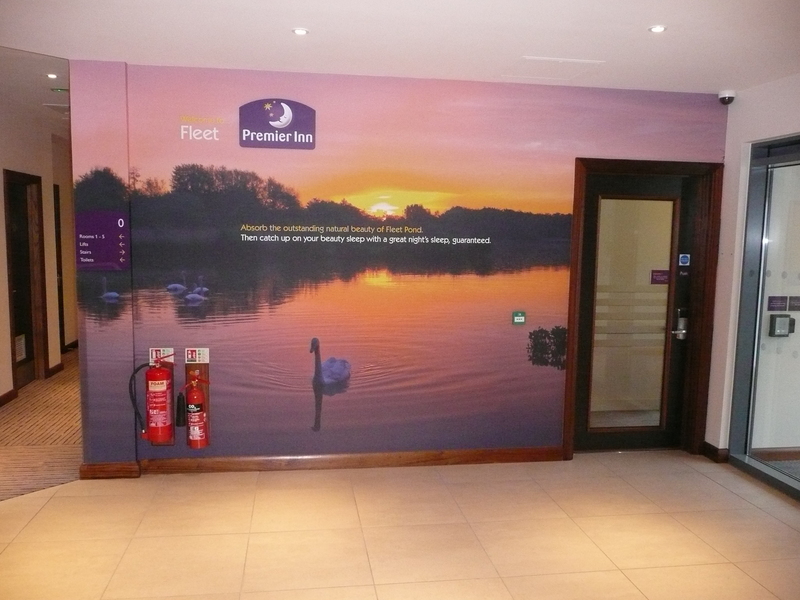 Photo credits: with the kind permission of Premier Inn. 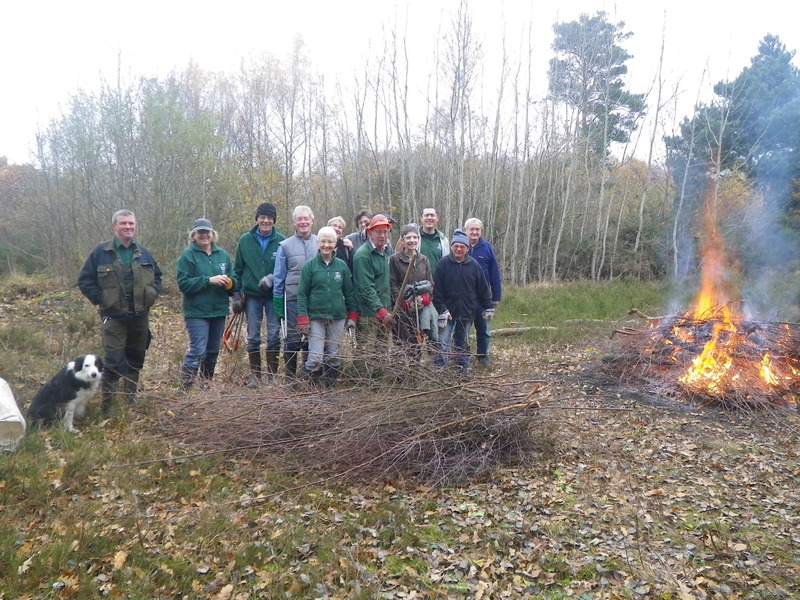 “A fantastic turn out from the Hampshire and Isle of Wight Wildlife Trust (HIWWT) North East Reserves Team Tuesday group. 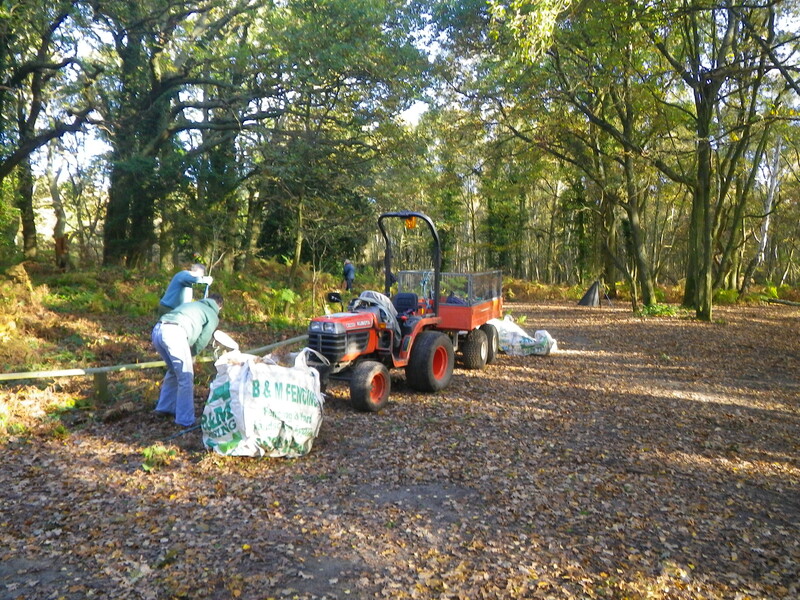 A huge thank you for your efforts, clearing storm damage branches in the car park edges and then attacking the birch encroachment on the dry heath land. 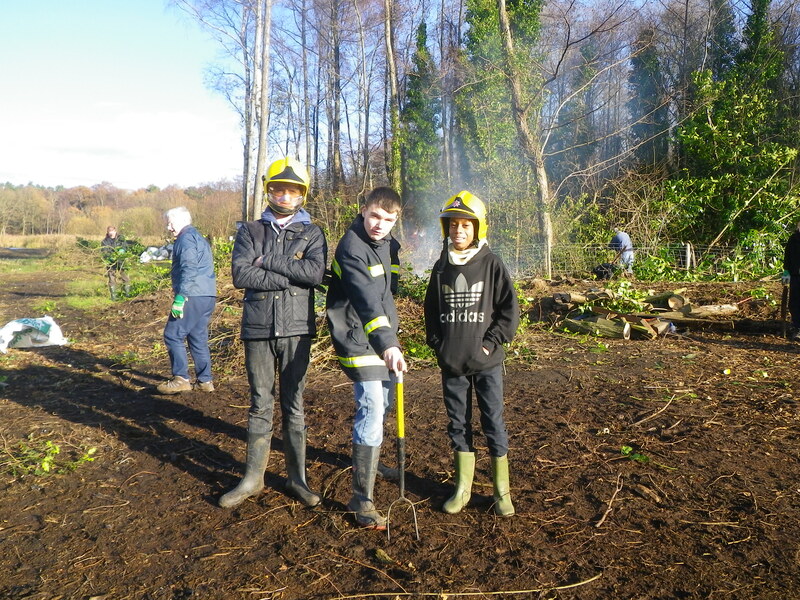 Volunteer John got an impressive fire going and most of the cut scrub was burnt up and stumps treated. I found it hard to keep up the pace collecting all the cuttings! HIWWT Leader Guy kept the group under reasonable control so that they didn’t clear all the trees! 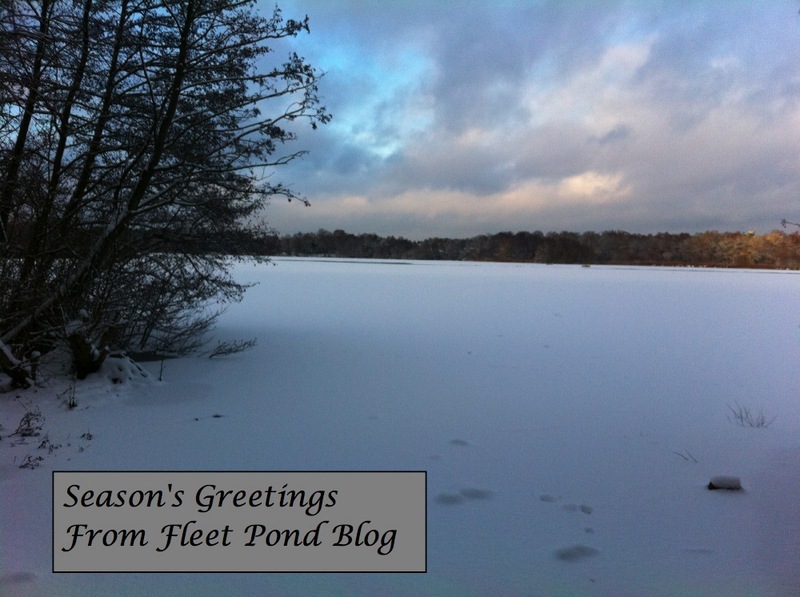 You are currently browsing the Fleet Pond Blog blog archives for December, 2013.